Winter has just about lost its grip in the crater, Mt Blue birds are back and the Elk are slowly making their way back for the summer. The access at the box is still a no-go but I bet that will change soon! We are looking at warmer temps in the very near future and the snow on the crater floor is going fast. Flows coming out of Island Park Reservoir have dropped down to 983cfs and the reservoir is at 91% of capacity. Most of the road going into the Box Canyon camp ground are open but four wheel drive is necessary. Tread lightly, as the roads are very wet and soft. Leave the monster truck at home. 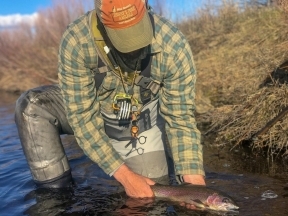 The lower Henry’s Fork has been a little hit and miss this past week. Run-off has effected both clarity and water temps. The big salmon fly nymphs have started to make their way to the banks and the Mother’s Day caddis are coming off in big numbers. Flows have come down some, due to cooler temps but look for flows to increase big time over the next week. Honestly I leave the boat at home this time of the year. I like to be mobile, start at Seely’s and work your way up. Pay close attention to the banks. Have some #16 Hemingway caddis with you and look for heads. I would also bring #10 black rubber legs. The South Fork is worth a look for sure! Flows have come down to 13000 cfs. This is great news for the caddis hatch. I am not sure what will happen with the flows on the South Fork. Check The Flows the day of your trip. There may be a few skwalla’s around so I would have some #10 purple chubbys handy. Fish rubber legs and look for fish up eating blue wings and mother’s day caddis in the riffles. A #16 Hemingway caddis and a #16 Lawson’s caddis will turn some heads. The Teton has also been hit and miss this past week. If you’re headed that way then I would make sure to have some sparkle minnows and some olive and gold little Kim’s. 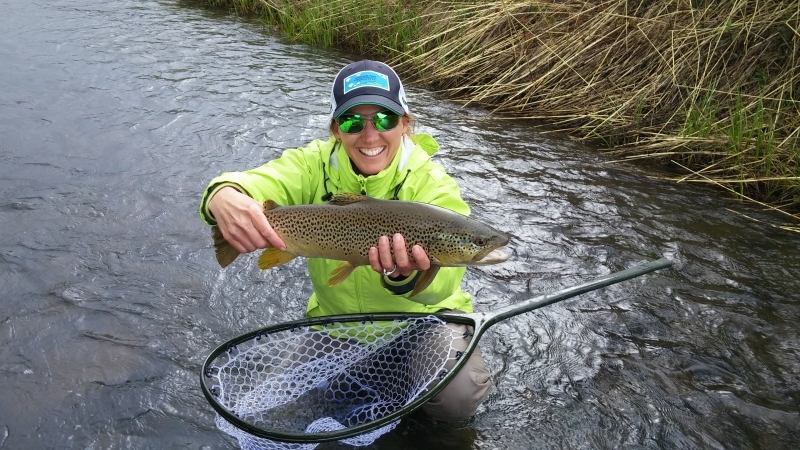 It’s a great time of the year to fish streamers on the Teton. The Madison is fishing okay between the lakes and the walk wade section. I would watch the flows. I am guessing that the flows will be on the rise shortly. Stay tuned and as things change will keep you updated.